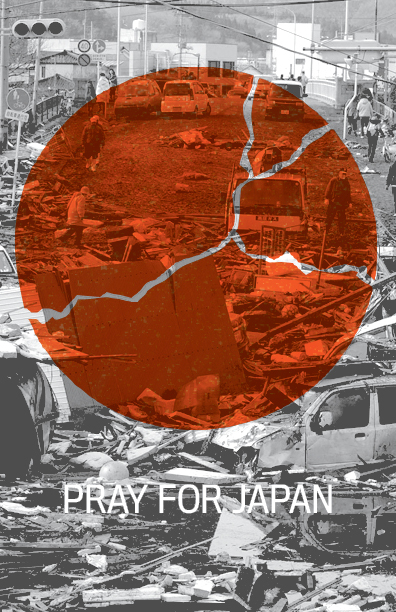 By now news of the devastation from Japan’s 8.9 earthquake has become a media hot topic. The death toll is in the thousands with over 8000 missing reported (many of whom are presumed to be dead). What started as one of the most powerful earthquakes the country has ever seen is shaping up to be a multi-dimensional crisis. Rescue crews are working to uncover the remains of those left in the wreckage and possibly a few remaining survivors. The earthquake also disturbed the nuclear power plant in Fukushima. Although the Japanese government has evacuated the people closest to the plant, there is still confusion as to how and if the radiation will travel to other bordering parts of the country. A crew of emergency workers has been trying to pump seawater into the nuclear reactors with hope that they will cool down. Japan’s Prime Minister Nauto Kan has called these workers “heroes”, for knowingly subjecting themselves to high amounts of lethal radiation. Wireless users can text ASIA to 30333 to donate $5 to relief efforts. Pray for family, friends, those who have lost, those who are searching and those who have found. The earthquake might be over, but the relief effort is not, and although making a monetary donation can help, the country also needs to be covered with God’s protection.